Welcome to the Official Website of Boabom Europe! Welcome to the official website for information about the Art of Boabom in Europe! and contact us with any inquiries. If you have a group and would like to request information about a seminar in your country, contact us! 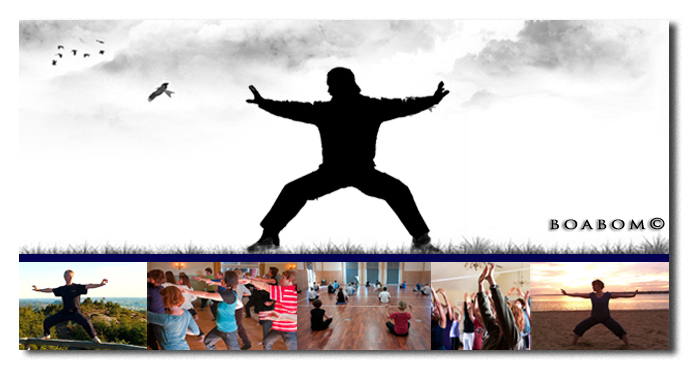 Boabom is an Art of movement with roots in an ancient Tibetan system of Meditation and Defense. Designed to develop Vitality and Internal Energy, Boabom provides quick relief from stress. Through movement and breathing, Boabom creates a complete and unique system of exercise that improves focus, coordination, confidence, physical condition, and mental well-being, all without contact or competition.